Empowered by vast and in-depth acquaintance, “Designer Furniture” was laid in the year 2005 with an assertion to be a trustworthy name of this realm. Our organization is conducting its occupational operations as a sole proprietorship entity with headquarter at Nampally, Hyderabad, Telangana. 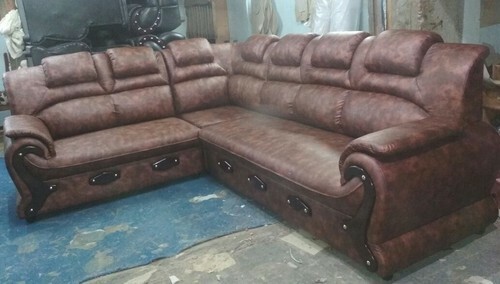 With the assistance of our dexterous professionals, we are instrumental as the manufacturer, Wholesaler, Retailer and trader of Sofa Set, Wooden Bed, Rocking Chair, Wooden Dining Table, Wooden Diwan, Wooden Table, Wooden Dressing Table and many more. Our technically sound machines are highly well-organized as they are made using high grade. We have a sound infrastructure setup which is sprawled over a large area. It is equipped with all necessary machines and tools to execute efficient production activates. With immense hard work and dedication, we have been able to carve a niche in the Indian and International markets for our products.